Prep Wash – Prepsol has high solvency for greases, oils and silicones making it ideal for cleaning surfaces prior to painting. 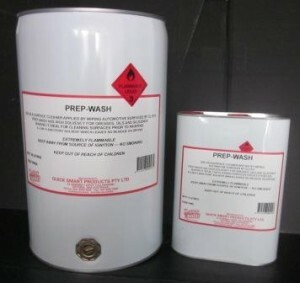 A low flash point solvent which leaves no residue on drying. Please consult the MSDS on Prep Wash – Prepsol before use.